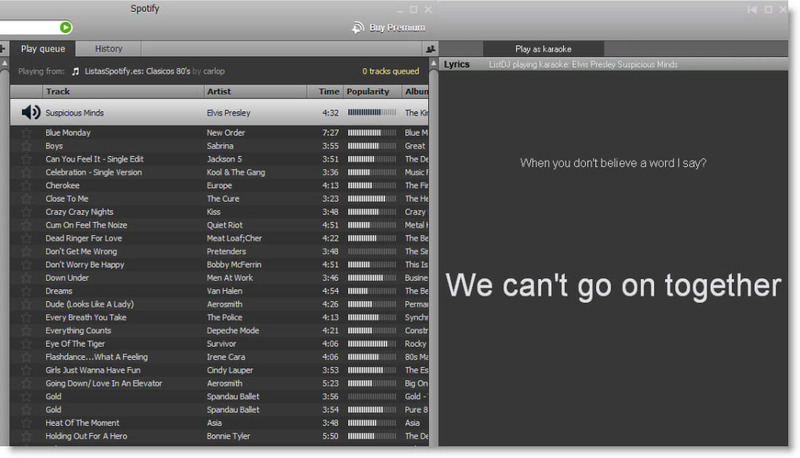 ListDJ displays the lyrics to the song you’re currently listening to on Spotify in a separate window, so that you can sing along with your favorite bands. 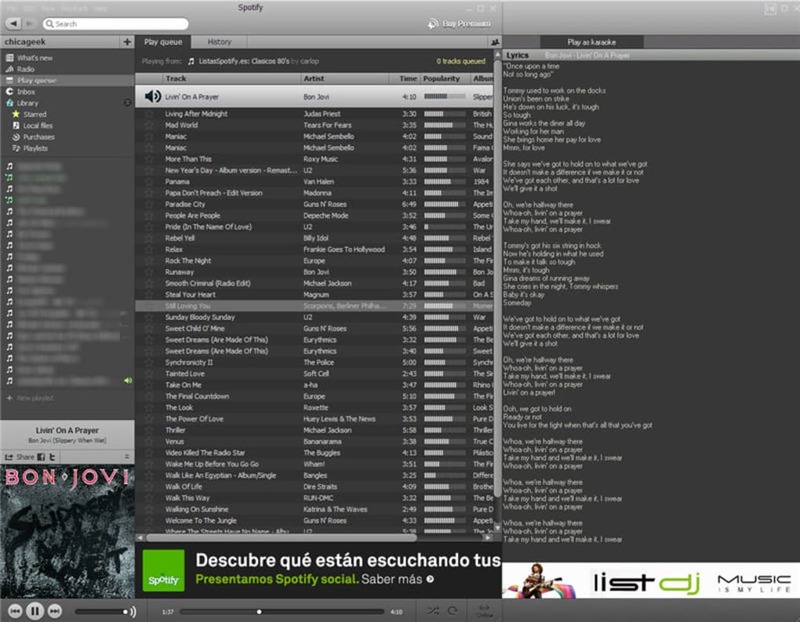 You don't have to make up the words to songs anymore; ListDJ works as a plug-in for Spotify, opening a separate window next to the audio streaming application and displaying the lyrics to the songs you listen to. 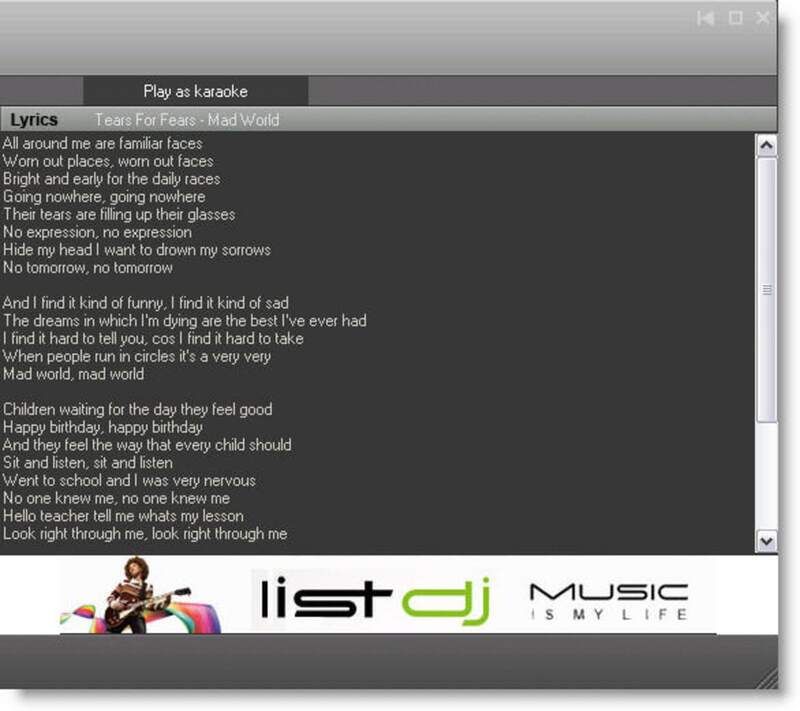 We’ve tried ListDJ for a while and we’ve got to say that it never failed to display the lyrics – not once. The one thing that is not available for most songs yet is the karaoke option in ListDJ, where lyrics are displayed in a karaoke-style animation, phrase by phrase. ListDJ’s Spotify integration could be improved, but the app is still at a beta stage, so let’s hope it gets better with future versions. ListDJ is a plug-in for Spotify that displays lyrics to the songs you listen to in a window next to the music player. What do you think about ListDJ? Do you recommend it? Why?